It is refreshing how Hanna Bachmann has launched her second CD. BREGENZ She lays fully clothed in a nostalgic white enamel bath tub with small feet. 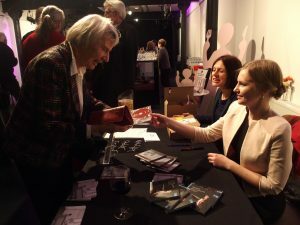 That is how pianist Hanna Bachmann (25) from Röthis advertises her second CD and woos her audience for her new project ‘Plaisanteries’, which is French for ‘joke, fun’ (Gramola). Numerous fans and friends of the young pianist accepted her invitation to the launch of her CD in the Kosmos Theatre in Bregenz. Musician and composer Martin Lindenthal lead the audience skillfully through a world caught between a high level of required interpretation and hidden humour. At the tender age of 16, Hanna Bachmann took her first courageous steps to find her way in the music world, playing in front of an audience on an out-of-tune grand piano in her home town of Röthis. At that time she was already a student in Ferenc Bognar’s piano class at the academy of music in Feldkirch, before she changed to Florian Krumpöck in Vienna. 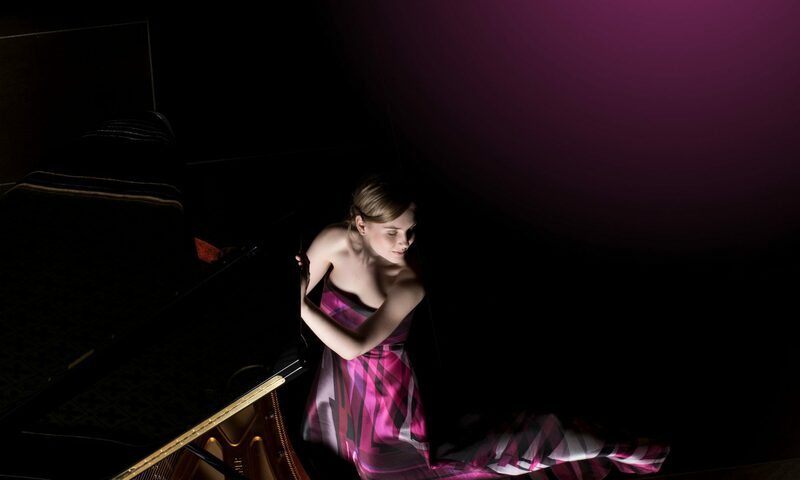 She completed her Bachelor at the Mozarteum Salzburg under Pavel Gililov in 2015 and subsequently two years later she completed her Master’s degree with distinction. She started her music career carefully but with tenacity which one needs as a young lady in this business. A letter of recommendation from Maestro Kirill Petrenko (great musicality, creativity, with a high level of technical skill) was certainly helpful opening doors for her oversea’s guest performances, which in the meantime reach well beyond Europe and even into Mexico. 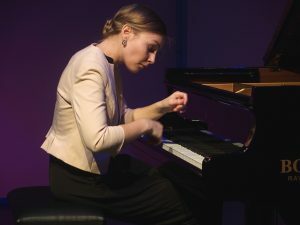 A first prize at the Piano-Award in Düsseldorf, her Richard Wagner Society’s scholarship (Vorarlberg) and her donated sponsorship from the county of Vorarlberg last year have since followed. After her debut CD (tyxart), which was produced in St. Christoph in 2016, there is now a second recording from Hanna Bachmann. She plays her ‘jokes’ in a cleverly chosen musical programme of variations of classical and classic modern pieces, which are full of extreme pianistic hurdles as well as adventurous, technical and artistic requirements. These challenges apparently cause her no problems at all while playing live, without the certitude of a later correction in a studio, when she presents her CD programme in a compact form and which is complemented by a laid-back dialogue with Martin Lindenthal about musical history, stylistic and psychological background regarding the works played. And there it is again, this special characteristic which one admired earlier of Hanna Bachmann: her fantastic ability to concentrate. It is this ability which enables the artist to transform herself into a lioness with paws in a split second after touching the piano keys of this properly tuned grand piano and to develop an unbelievable suspense and eruptive power. The fun develops through the pattern of the foreign theme ‘Ein Weib ist das herrlichste Ding’ in Mozart’s eight variations as well as from the simplicity of the workmanship therein. It is somewhat more complicated with Beethoven, who was inspired by a contrary waltz of his colleague Diabelli, into creating a one hour long piano colossus of thirty three famous variations full of profound wit and virtuosic peculiarity. Prokofiev’s five ‘Sarcasms’ express mockery and absurdities. In the astonishing maturity of her youthfulness Hanna Bachmann finds an approach with fine light and shadow play to all these idiosyncrasies and awakens them to scintillating life.